Run mobile video advertisements that achieve 200% viewability above industry averages, and reach your customers with 9x engagement above static banner ads. InMobi specializes in mobile video formats that build brand awareness, drive user engagement, and achieve top-of-industry standards for viewability and completion. Get in touch with an InMobi video expert for your free consultation — fill out the form at right! Over 90% of your consumers' mobile time is spent in-app, not in a mobile browser. That's why you mobile video advertisements include the creative and technical capabilities for in-app. InMobi's speciality is VAST mobile video that loads within the device's native video player, resulting in virtually buffer-free video load time. 62% of ad executives will increase spending on mobile video in 2017. 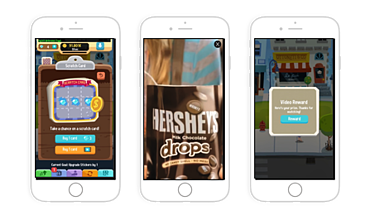 15-second mobile video with rich interactive end-cards delivers up to 9x engagement above static banner ads. Learn how with InMobi. 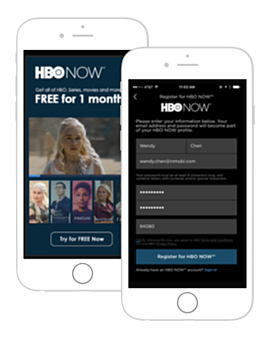 Achieve 2x viewability for your mobile video campaigns with InMobi's VAST video solutions. Our creative capabilities will help you reach new audiences, tailor ads to the right audience using unique device data, and convert customers with engaging rich media. Through our revolutionary advertising & discovery platform, developers, merchants and brands can engage mobile consumers globally. Recognized among Fast Company's "2016's Most Innovative Companies in the World," InMobi reaches over 1.5 billion unique mobile devices worldwide. Our partners enable best-in-industry mobile video, viewability, and in-app programmatic.